I’ll admit, I am an incorrigible fan of biographies, but I’ve discovered that biographies are usually one of two things: profound hits or astronomical misses; often filled with so much fluff the story gets lost in loads of overzealous and gregarious bull. So when a copy of Every Little Step was made available to me, I was excitedly hesitant. I questioned whether I’d even read this book, after all, I knew this story. In fact, the entire world knew this often sordid, perhaps morbid, story. For over a decade Bobby Brown, and ultimately Whitney Houston (as a couple), were headline fodder. 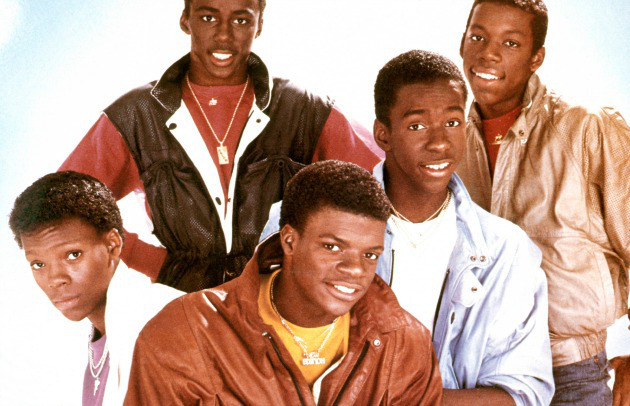 Their lives were broadcast as a national or romantic tragedy on the evening news, supermarket tabloids, and sadly, their short-lived reality television show, Being Bobby Brown. Already steeped in a methodically, if not intentionally, developed controversy, Bobby Brown became infamously iconic through the dismally painted images he willfully projected: Pop singer, reality star, Whitney Houston’s husband, and father. His nauseating story played out in the media but never gave us a full image or explanation of the man. We often wondered if he knew himself or if he was simply a chameleon who changed his colorful façade to meet the moment. The jury is still out, even after reading Every Little Step. To some degree, I understand. That’s how public images work. They slap a label on you, and that’s who you are– the facts be damned. Early on, I cemented my reputation as the “bad boy of R & B.” And it stuck. For the most part, I embraced it–for thirty years. It was fun — when I was young and foolish. But now that label; feels too one-dimensional. But then the surprise. 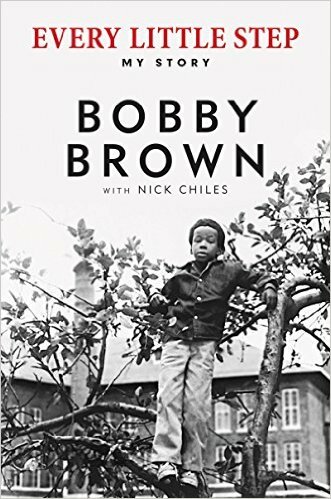 With Nick Chiles’ word wonderment, Brown’s biography sizzled then unexpectedly exploded. Despite a plethora of predictable and almost surreal events, Every Little Step astonishingly delivered. Readers are taken through the maze of “life according to Bobby Brown” and are presented the opportunity to amble through the jigsaw pieces of his madness. Revealed during this trek is what had long been hidden and many essential curiosities are answered, yet some of the revelations seem too convenient and occasionally it is questioned whether the book represents a real person or the person he really wanted to be. Indeed there is proof of his antics and some clues that point to real occurrences, but some of the events are forced and seem to be included more for dramatic effect than comprehensive information. Every Little Step can essentially be summed up as the story of two luxurious ships. One is fantastically pristine with a wooden deck that glistened like polished gold under the Pacific coast sun and the other, of equal magnificence, but moving in circles under a dismal and constant shade of gray, attempting to share a small Roxbury-Newark pond. Which ship represented who is up for individual interpretation. But little can be gleaned from the book which merely highlights the highlights. Every Little Step was mammoth, larger than the superstar players that controlled their kingdom with mythological fervor. Bobby and Whitney’s roles were almost, perhaps mostly, make-believe; bitter, blind, ignorant, faithful, prophetic, and destructive. The dissolving of the family and the under-appreciation of their height of fame was certain to disappear. It was only on loan; only temporary, and they had no idea. So much, according to the book, was squandered, and the chaos from years of their animated immaturity and abuses cover each page like locusts in a wheat field. There were moments when we didn’t know whether to laugh, cry, cheer, or turn our backs. We did all the above because we had no choice. We know this story, maybe better than we should. But like most fairytales happier endings exist, and Bobby, seeing the possible end of an unforgiving road, attires himself in battered armor, relinquished his worldly possessions, and sets out to start again. Sadly, and almost as if by a sinister curse, the whole of his former life is inexplicably extinguished, and once again with all the glitter gone, he is back where he started with nothing but material proof of where he’d been.